Have you thought about joining a meal delivery subscription, like Blue Apron, Plated, or Hello Fresh? Are you wondering if it’s really worth it, or worried it might be a rip off? 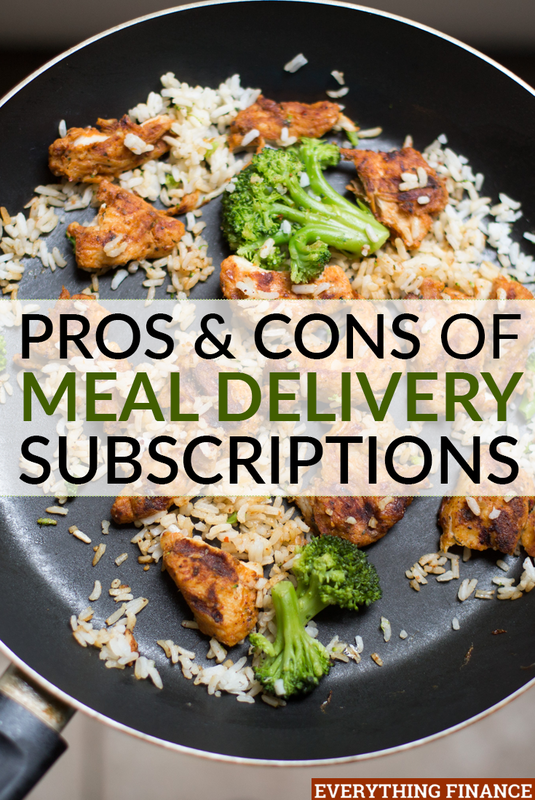 Let me break down the pros and cons of joining a meal delivery subscription service so you can make the right decision for your family. By far, the biggest con to a meal delivery subscription is the price. We tested out Blue Apron, and signed up for the four-person meal service twice a week, which comes out to $80 a week or $40 each meal, essentially $10 per person. That is expensive!! We could go out to eat for that price, grab fast food, or put together cheaper meals. However, with this link, you can save $30 off your first order with Blue Apron if you want to try it out. So we know that it definitely will NOT save you money to do a meal subscription service, but it will save you time in terms of planning what your family will eat. Being a working mom, and keeping up with all other household responsibilities, I enjoy that planning every dinner is now taken care of by someone other than me. My husband is a great cook, but he’s not a good planner. So there will be a lot of times where it’s 6 p.m., we’re all hungry, and no one knows what we should make for dinner. We end up sticking with the same old, same old. Having a meal delivery subscription has allowed us to not have to worry about what we’re planning for dinner. We still go to the grocery store for basics like milk, fresh fruit and veggies, but for the most part, we no longer have to worry about putting meals together. The meals do take a little while to prepare. Usually anywhere between 45 minutes to an hour. That’s pretty time consuming! We’ve managed to work our way around it by having my husband cook while I watch the baby, but I can’t imagine cooking for an hour more than twice a week. And if you’re feeding an entire family? No way! Every meal we’ve tried so far (with the exception of one) has been absolutely stellar! It tastes like fine dining, except it is much healthier. However, the portions are ridiculously small. My husband is a hardworking firefighter with a ravenous appetite. Even though we signed up for the four-person meals, one delivery will feed my husband and me and the baby (who takes just a few bites), and then leaves barely enough for me to take leftovers for lunch to work the next day. I can’t imagine actually feeding a family of four with this, unless you have very young children. With such a small portion size, it drives up the cost even more since you’re not actually getting four full meals. We haven’t gotten the same meal twice. And every time we cook with Blue Apron, we feel like we’re expanding our cooking knowledge. I think meal delivery subscription services are great, but expensive. For now, we do it about two or three times a month, but I can’t see this being a long-term solution just because it is so cost prohibitive. I think everyone should try it out a few times if they’re looking to save time, but if you’re on a serious budget, then keep looking for another solution. Have you considered trying a meal subscription service? Have you already tried one? What are your thoughts and experiences?